During the World Yoga Convention and Golden Jubilee celebrations of the Bihar School of Yoga, held in Munger, Bihar, in October 2013, Swami Niranjanananda Saraswati announced a new direction for yoga. After fifty years of propagating yoga worldwide, the Bihar School of Yoga enters the next fifty years with a new understanding and approach. This approach became apparent in the first month-long Yoga Instructor Course conducted in August 2014 at Ganga Darshan Vishwa Yogapeeth under the direct guidance and inspiration of Swami Niranjan. Over a series of talks to residents and students of the ashram he outlined the future direction of Satyananda Yoga-Bihar Yoga. He expounded the origin of yoga and its three distinct periods of development in history. 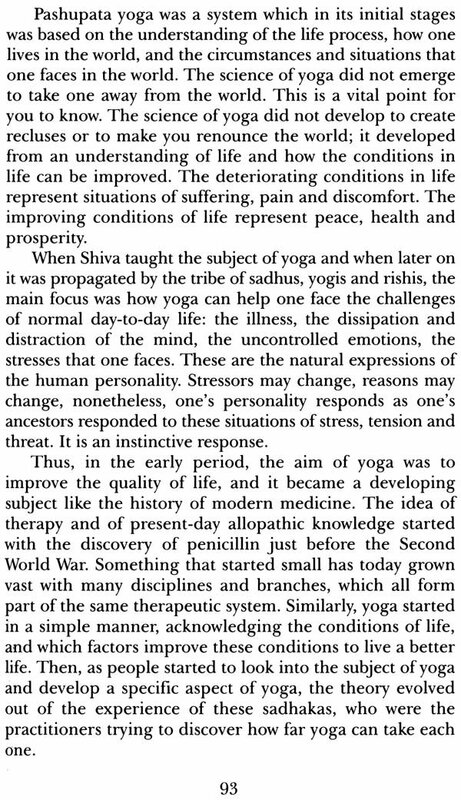 He described the role and contribution of exponents of the various branches of yoga, contextualizing the contemporary understanding of yoga. 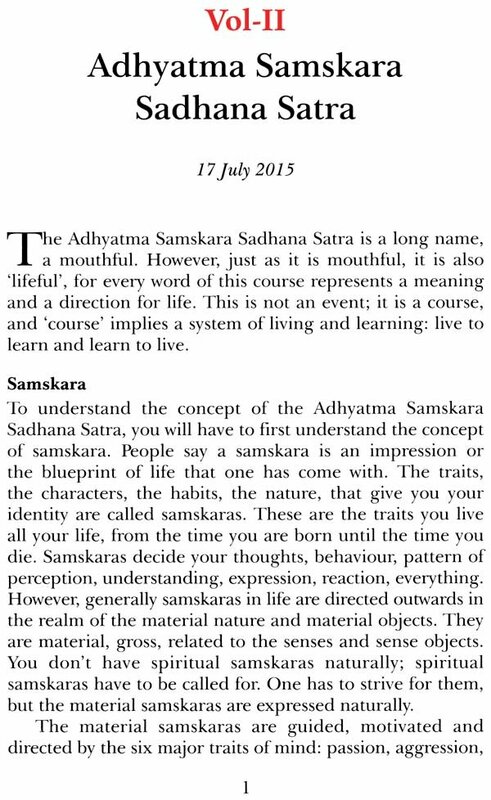 This theme was further expanded during the 'Ashram Life Yoga Satsang' program held in December 2014. Yoga Chakra presents this innovative and groundbreaking vision of yoga for the coming age. The reader is invited to embark on a journey of discovery into a new dimension of yoga through these lectures. Swami Niranjanananda was born in Rajnandgaon (Chhattisgarh) in 1960. Guided by his guru, Swami Satyananda Saraswati, from birth, at the age of four he came to live with him at the Bihar School of Yoga in Munger where he received training in yogic and spiritual sciences through yoga nidra. In 1971 he was initiated into Dashnami sannyasa, and for twelve years he lived overseas, acquiring an understanding of different cultures and helping establish Satyananda Yoga ashrams and centres in Europe, Australia, North and South America. He returned to India in 1983 to guide the activities of Bihar School of Yoga, Sivananda Math and the Yoga Research Foundation at Ganga Darshan. In 1990 he was initiated as a paramahamsa sannyasin and in 1995 anointed spiritual preceptor in succession to Swami Satyananda Saraswati. He established Bihar Yoga Bharati, the first university of yoga, in 1994, the Yoga Publications Trust in 2000, and a children's yoga movement, Bal Yoga Mitra Mandai, in 1995. He travelled extensively to guide seekers around the world till 2009, when he received the command to commence a new phase of sannyasa life. In 2010, he established Sannyasa Peeth, entering a life of higher sadhana and tirtha yatra. In 2012 he initiated a three-year Sannyasa Training. Celebrating fifty years of the Bihar School of Yoga, he conducted the World Yoga Convention in Munger, in 2013, launching a new era of yogic renaissance. In 2014, he embarked on a Bharat Yatra, an all-India tour, transmitting the gift of yoga. Author of many classic books on yoga, tantra and the upanishads, Swami Niranjan is a magnetic source of wisdom on all aspects of yogic philosophy, practice and lifestyle. He ably combines tradition with modernity as he continues to spread his guru's mission. In the ongoing effort to develop the next chapter of yoga. Swami Niranjanananda gave a series of satsangs during the Adhyatma Samskara Sadhana Satra. Held from 17th to 25th July at Ganga Darshan Vishwa Yogapeeth, it was the first course of its kind. The aim was to take yoga practitioners beyond asana and pranayama into a broader understanding and application of yoga. They were given the tools to develop the ability to practise the yoga that can transform the mind and behaviour, thus creating a new lifestyle and resulting in harmony within oneself and in society. Swamiji explained that the path is laid out in the yamas and niyamas, the positive attributes of life. 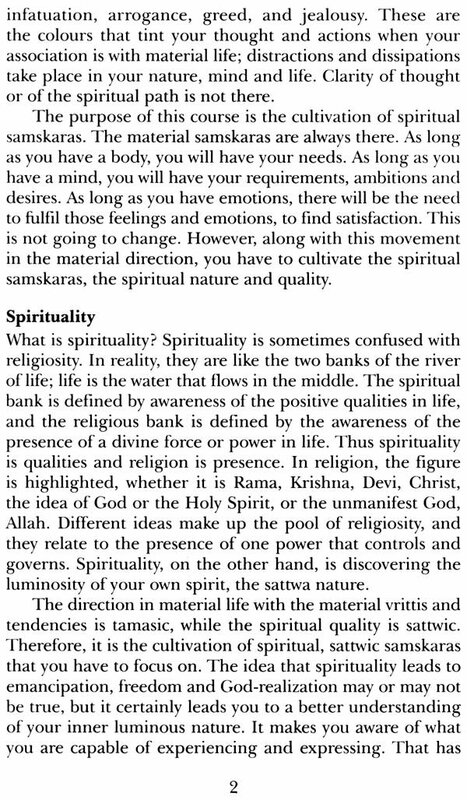 Usually people refer to the yamas and niyamas listed by Sage Patanjali, but Swamiji delved into those presented in other yogic and spiritual literatures. 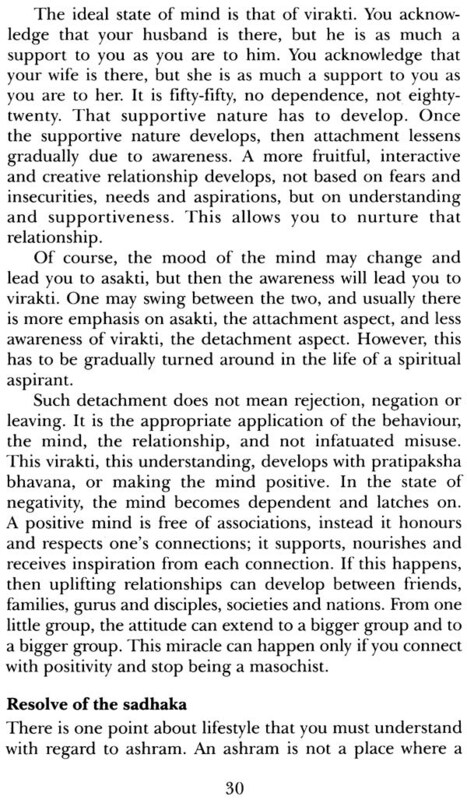 Two yamas: happiness and forgiveness, and two niyamas: japa and namaskara were taken up. Participants were also given questionnaires and asked to maintain a spiritual diary so they can cultivate these four qualities in their life as a sadhana. This book presents the satsangs and also includes the questionnaires.